Abuja – The Minister of Information and Culture, Alhaji Lai Mohammed has advised against muddling facts about the ongoing trial of some judges facing corruption charges in the country. The Department of State Services (DSS) had few days ago stormed the houses of some judges, arrested them and recovered huge sum of money in different denominations. The affected judges were on Monday given bail on self recognition by the DSS. 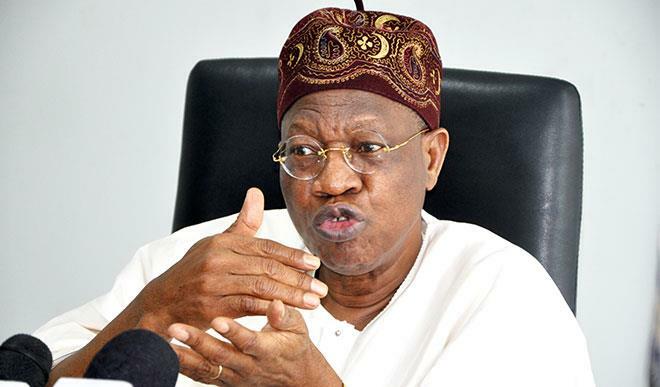 Lai Mohammed, Nigerian Bar Association (NBA) Nigeria Labour Congress (NLC) and some human right associations have been expressing divergent views over the incident. The Minister, who was fielding questions from State House correspondents in Abuja on Wednesday, however, said that proper procedure was being followed in the trial of the affected judges. He said that there was nothing wrong with the method adopted by the DSS in carrying out their official assignment. He maintained that, in the fight against corruption, the federal government would be stepping on toes of personalities including judges, ministers among others. One, do judges have immunity? The answer is no. Can judges be arrested? The answer is yes. “Have judges that are serving been arrested in Nigeria? The answer is yes. Justice Okoli had been arrested and tried. “Now, the next question to ask is: what is the proper procedure for arresting anybody including judge? There must be proper executing search warrant. Was such presented? The answer again is yes. “People have tried to muddle the facts about when do you search the person’s house, the truth of the matter is that under the new criminal justice law, you can search anybody, anywhere, anytime.’’ According to the minister, what government is concerned and passionate about is to fight corruption, and in the process of fighting corruption “it is not unusual that you step on some very sensitive toes.’’. The Minister frowned at those attempting to rubbish the ongoing crusade against corruption in the judiciary. “Some people are saying oh, the reason why they went to some particular judges house is because the President wants somebody from one part of the country to be Chief Justice of Nigeria. Mohammed narrated how 22 out of 32 judges in Ghana, who were caught on tape by an investigative journalist, asking for bribe, were dismissed in 2015. He, therefore, stated that there was nothing wrong in stepping on judges’ toes in the fight against corruption. He added: “Yes, it is true that what is happening today has probably never happened at this level before, but, frankly speaking and with all due respect we do not intend to humiliate any judge. “We have no intention to humiliate the judiciary but believe me what we have done we have done within the ambits of the law. “I think the Federal Government is being very careful with handling of this particular issue, I want to state clearly that this government believes very much in separation of powers.